In 2012, Christina founded the Emerald Magazine during her last semester of college at Humboldt State University, where she earned her degree in journalism. Initially a community and activities publication, Christina rebranded the magazine to cannabis three years in, when her mother was diagnosed with cancer. The magazine is now a leading industry resource guide for consumers by showcasing modern cannabis with easy-to-navigate profiles of companies, and product reviews for culinary, recreational and lifestyle trends. 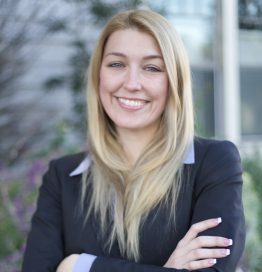 Christina is an active member in both the business world and cannabis community. In 2014, she launched Humboldt Women, a grassroots organization that helped women in business off-set overhead costs by awarding a $500 grant every month. In 2016 she founded the Humboldt County Cannabis Chamber of Commerce, which serves its members in helping to create a sustainable future.